Weeks before his death, rapper XXXTentacion (real name Jahseh Dwayne Onfroy) had signed a $10 million album dollar deal with indie label Empire, according to the New York Times. Onfroy was shot and killed on June 18. Three days later, Broward County Sheriff’s Department arrested 22-year-old Dedrick D. Williams and booked him on several charges, including first-degree murder, a probation violation for theft of a car and driving without a valid license. XXXTentacion started his career posting tracks to streaming site SoundCloud. The prolific rapper had finished “a significant amount of material” for the new album, Empire founder Ghazi Shami told the Times. There were no firm plans for its release, he added. 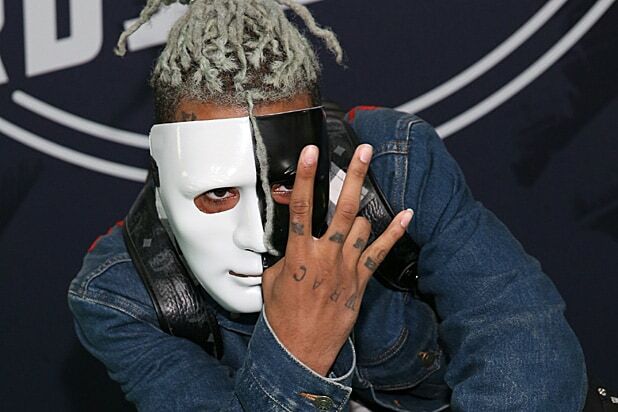 Due to a clause in XXXTentacion’s last record deal, which was with a distribution unit Universal Music Group, the new effort may not be released until at least October, per the paper. That is not ideal from a business standpoint, as streams for the rapper’s material have skyrocketed since his murder last month. Empire dropped “17” on August 2017, which opened at No. 2 on the Billboard chart. His second album, “?,” opened at No. 1 in March. XXXTentacion’s existing big money deal with Empire covers only this next release. The hip-hop artist’s rise to fame in the rap world had been rocked by legal troubles dating back to 2014 when he was sent to a youth detention center for a year on gun possession charges. In 2016, he was arrested again and charged with robbery and assault with a deadly weapon.